Nothing quite compares to the new Mercedes-Benz C-Class Coupe, which has been completely redesigned for the 2019 model year. 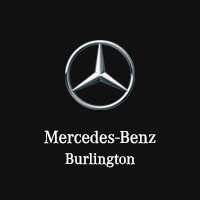 Now that Hamilton drivers have access to it at Mercedes-Benz Burlington, they can enjoy the likes of AMG® performance-enhancing features and engines and highly advanced safety systems, such as DISTRONIC PLUS®. Peruse your new Mercedes-Benz C-Class Coupe options, and then visit the dealership to design your own!